Normally I'm a big fan of sour beers such as Berliner Weisse, Gose and Gueuze. It does help though if they are brewed to be that way. 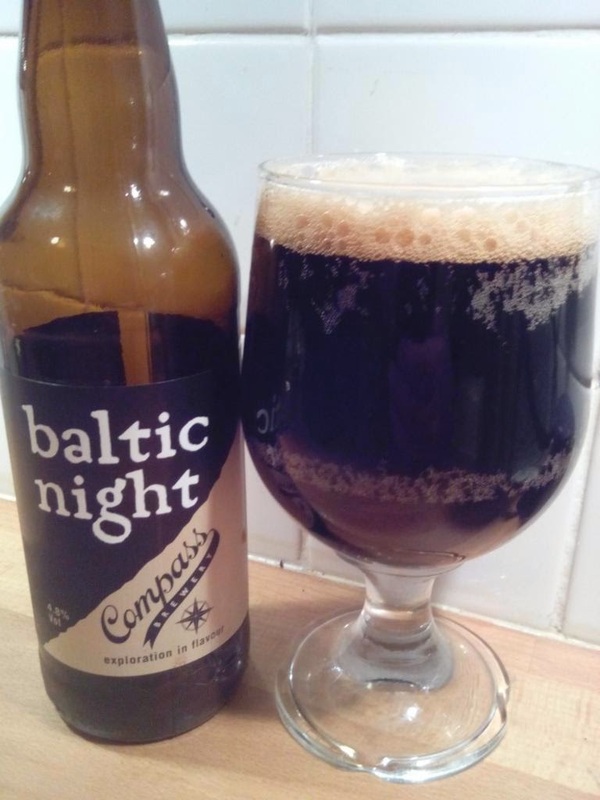 Tonight's example - a Baltic Night stout from Oxfordshire's Compass Brewery, which I picked up in the local Oddbins - is a bit more challenging, as while it has a tartness on the nose and a pronounced sour character, I can't believe it is meant to be like that. Indeed, the brewer's original description referred to "a well balanced roasted bitterness as well as a hoppy aroma." It added that "The high percentage of roasted barley that we use to create it also gives it a lovely hint of coffee and a long dry moreish cocoa finish." The cocoa and roast coffee are definitely there, but so is an intrusive sourness, and it's not the Brettanomyces sourness one might expect in an aged stout, but more the lactic sourness of Berliner Weisse. Turning to Ratebeer I see I'm not alone - several other recent reviews refer to a sourness or a lactic tang. I'm trying to enjoy it anyway. I like sours as I said, and stout is a favourite of mine too, so I'm trying to tell myself this might be what you'd get if you tried crossing two styles, as Schneider Weisse did with its latest Tap X, Porter Weisse. It's kind of growing on me, but only kind of! Interestingly, I see Compass does make at least one beer as a seasonal that is meant to be sour. Incidentally, there was an earlier omen that not all was well here. 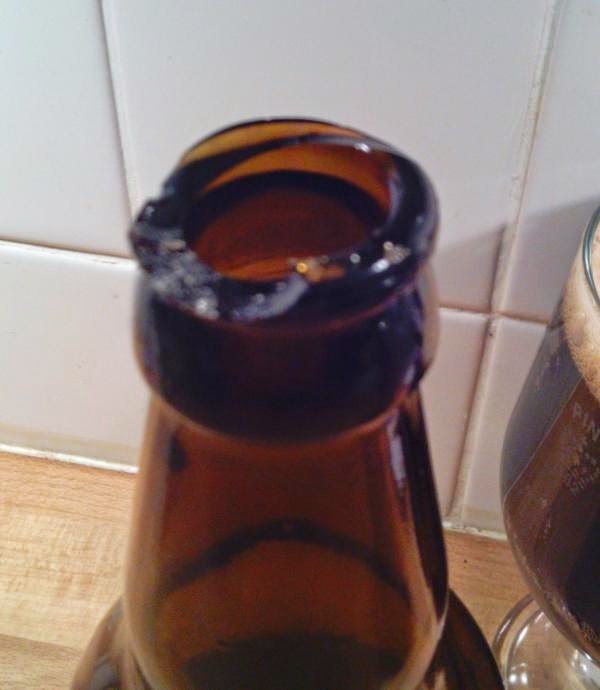 When we talk about cracking a bottle open, we don't usually mean it literally. But tonight it's exactly what I did - the bottle rim came away with the cap! I poured the beer anyway, but through a tea-strainer. And I suspect the bottle-opener rather than the bottle - it's one I rarely use, grabbed since my once-trusty Swiss Army Knife has gone AWOL. I suppose I've had a few if you were being generous could be described as crossed with lambic, but I usually go with tastes like Sarsons! This was definitely lactic rather than acetic, which was what inspired me to think about it rather than simply pouring it down the drain!